Pass Your Oracle Certified Expert, Java EE 6 Web Services Developer Exam - 100% Money Back Guarantee! "Java EE 6 Web Services Developer Certified Expert Exam", also known as 1z0-897 exam, is a Oracle certification exam. Pass your tests with the always up-to-date 1z0-897 Exam Engine. Your 1z0-897 training materials keep you at the head of the pack! Now you can practice your study skills and test your knowledge anytime and anywhere you happen to be with PDF Version of your 1z0-897 exam. Printable 1z0-897 Questions & Answers PDF Version gives you comfort to read at leasure without using your computer or gadget. The Oracle Certified Expert, Java EE 6 Web Services Developer aims in turning you into a skilled technologist so that you have those new skills that are required in the global IT industry. This certification can teach you to learn, develop and implement critical systems. The knowledge that you might require to develop Web Service Applications of Java EE 6 which involve the use of JAX-RS, XML, JAX-WS can be attained by you using this certification. Formerly, this certification was known as SCDJWS 6, being Sun Certified Developer for Java Web Services. This certification is designed for individuals who have the ability to appreciate as well as understand the whole concept of web services being a Service Oriented Architecture of SOA. The individuals should be well averse with the usage of the Enterprise Edition (EE) of the Java Platform. The best practices and methods should be applied while designing of web services is undertaken. Only after you have attained an in depth knowledge and know everything about the various topics that have to be covered in the exam, will you be able to clear the exam and achieve the certification. Enrolling yourself in the course of Java EE 6 Web Services Developer will enable you to remain updated regarding the latest web service API's of Java EE 6. This course not only covers the creation of RESTful web services, but it also covers SOAP and these topics are portable on almost all Java EE 6 application servers. The exam which this certification is concerned with is the 1Z0-897 Java EE 6 Web Services Developer Certified Expert Exam. It is essential to pass this exam before you can acquire the certificate. The duration of this exam is 90 minutes and the required percentage to pass is 65%. Before you can go ahead to take this exam, certain approved certification is required. This approved certification can be either Oracle Certified Professional, being either Java SE 6 or Java SE 5, or the Sun Certified Java Programmer which can be of any edition. These prerequisites must be definitely met before you can go ahead and take the exam. It is essential to understand the exam objectives before you go for the exam to achieve this certification. A thorough study of all the chapters will definitely fetch you a great score. There are 55 multiple choice questions in this exam of 90 minutes. You need a 65% percentage to pass; hence you need at least 36 correct answers so that you can pass this exam. This certification of Java EE 6 Web Services Developer turns out to be the basic exam of Java SE 7. Hence it covers knowledge which is basic, being Operators, Decision Constructs and so on. The certificate of Java EE 6 Web Services Developer remains valid for a lifelong time until a new certificate for another specific certification is released. Pre-requisites prior to the certification: As discussed, you have an option to complete the pre-requisites required. This can be any edition of Sun Certified Java Programmer or it can be Java SE 5 or Java SE 6 for an Oracle Certified Professional. Exam: After you are done with the pre-requisites, you need to apply and pass for the exam. The above steps are required to be completed before you can attain the certification of Java EE 6 Web Services Developer. The Oracle JEE certification is a very good option for you if you want to stay updated on the various Java EE 6 web services. The cross platform application development aided by the Java EE 6 technology is definitely going to be a one-time experience. This certification is recommended when you want to acquire practical skills so as to implement, create web services and web service clients using the technology of Java EE 6. 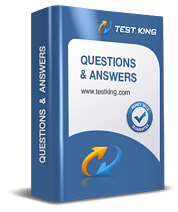 Experience Test-King Oracle 1z0-897 exam Q&A testing engine for yourself.